About 11 kilometres off the main road stands Stonehenge Aotearoa, a stone circle so powerful it calls to nearly everyone. Stone circles date back to the Mesopotamians, nearly 2000 years before Jericho. Stonehenge Aotearoa is New Zealand’s stone circle. A henge is a stone circle with lintels (blocks that are supported by something). Aotearoa is the Māori name for New Zealand. The Sun Gate is the entrance we passed through to get into the Stonehenge. The circular shape is found throughout history in structures like the Roman Colosseum, Roman Pantheon, and Newgrange outside of Dublin. It holds some historical significance to nearly every major religion. 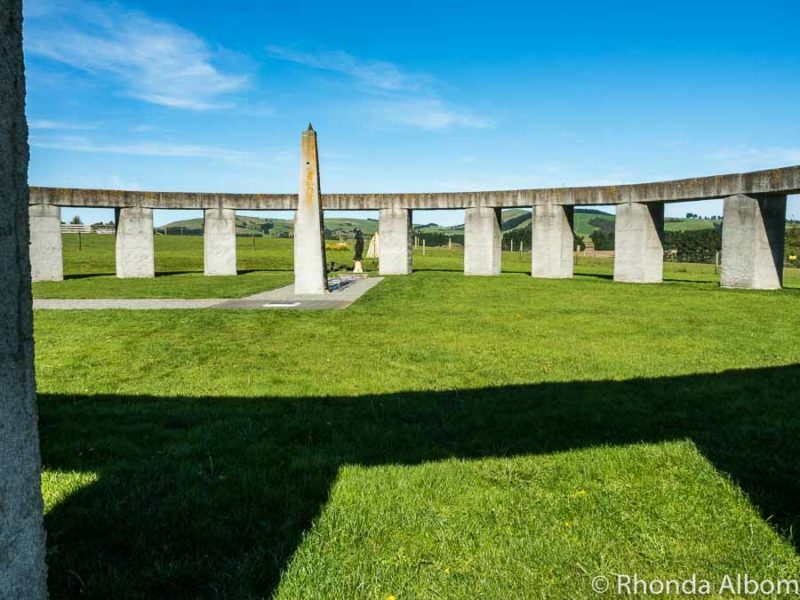 Built correctly, as Stonehenge Aotearoa is, it is used to teach and inspire. Teach celestial navigation as the stones form a Polynesian star compass similar to Ātea a Rangi Star Compass that we saw just outside of Napier, New Zealand. A person standing next to one of the standing stones helps give perspective to the size of this stone circle. Acoustically, Stonehenge Aotearoa is almost magical. From the centre, one can eavesdrop on any conversation in the circle. Sounds, such as music or clapping, originating in the centre of the circle are both amplified and accumulating as more people join in. Sounds from the edges can echo a few seconds later. The power of chants and music inside Stonehenge Aotearoa, and similar historical circles, can be used to put people in a trance-like state without the use of drugs. There is a hole near the top of the obelisk. If you stand in the spot where it appears as a perfect circle, you will be facing due south. We were there just off of midday. At noontime, the obelisk shadow will give the date. 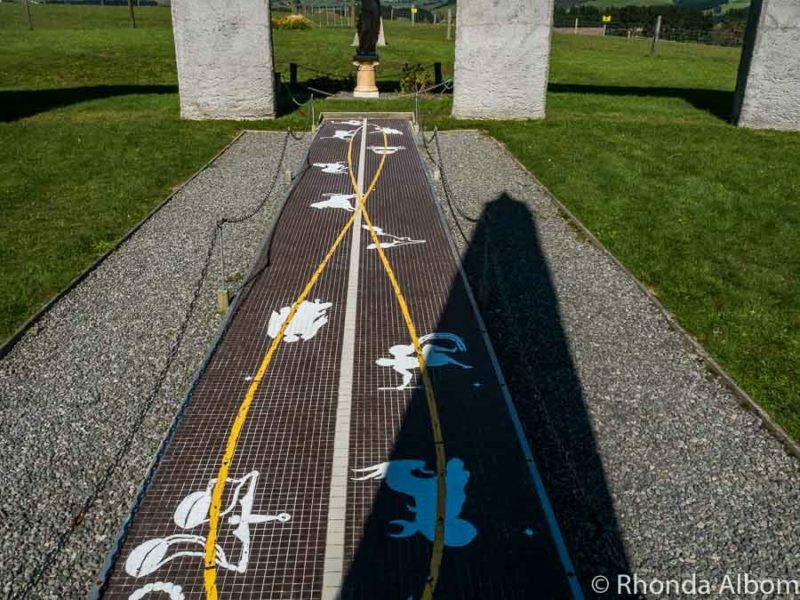 The markings on the ground (called an analemma) are also used to determine star signs (zodiac) that actually change over time, as they are based on the twelve constellations that have shifted positions over thousands of years. This sculpture represents the Seven Sisters, or Matariki. 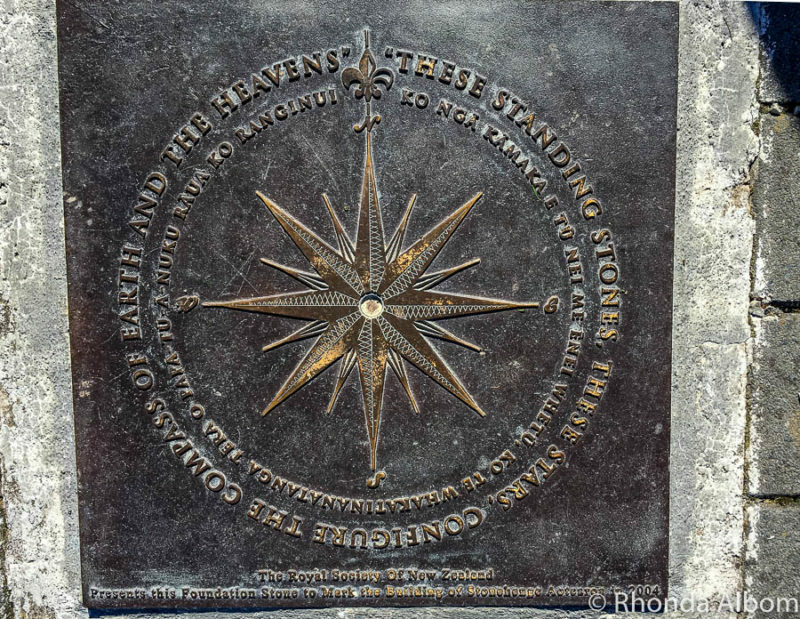 “These standing stones, these stars, configure the compass of earth and the heavens” The Royal Society of New Zealand presents this foundation stone to mark the building of Stonehenge Aotearoa in 2004. Stonehenge in England, built around 3100 BC, is probably the world’s most famous stone circle. Charges apply. Ātea O Rangi Celestial Star Compass in Napier New Zealand is a replica built recently. It is designed to split the horizon into 32 equal areas for celestial navigation. It is free to enter. Almendres Cromlech is a megalithic site outside Evora Portugal comprising a circle of 93 huge stones that were strategically placed there from 4000-5000BC. Located near Evora, it is free to enter. In May 2017 Stonehenge Aotearoa joined the Sri Chinmoy Peace-Blossoms program, a global family of more than 800 inspirational locations dedicated to world peace. According to the dedication hanging on the wall of the office, the program includes the highest mountains in nine countries, the grandeur of Niagra Falls, Vietnams Mekong Delta, many national capitals, and the entire 200 km border between Russia and Norway. 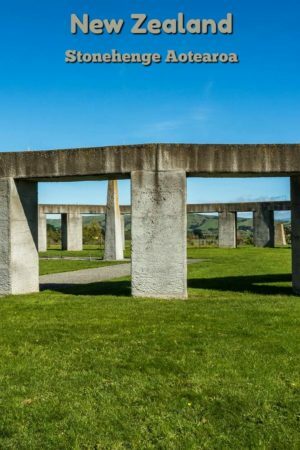 Stonehenge Aotearoa is located at 51 Ahiaruhe Road, Ahiaruhe, about an hours drive through the beautiful Wairarapa from Wellington. More specifically, it is a 10-minute drive off the main road from the town of Carterton. Click here for driving directions. Opening days change by the season. However, the hours are from 10 am to 4 pm on the days they are open. See their official website for details. Tour options include self-guided tours, guided tours on weekends or holidays, and private tours by appointment. Richard generally leads the guided and private tours. He is knowledgeable and captivating, sharing historical stories that are both fascinating and a bit enchanting. 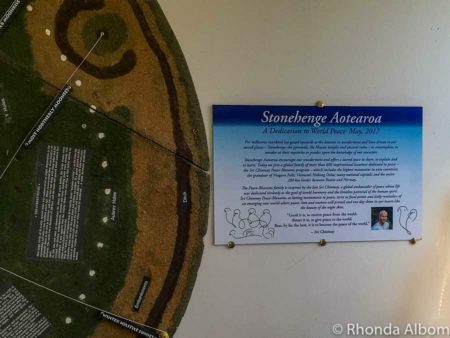 Be sure to ask for a Stonehenge Aotearoa map if you are taking a self-guided tour. 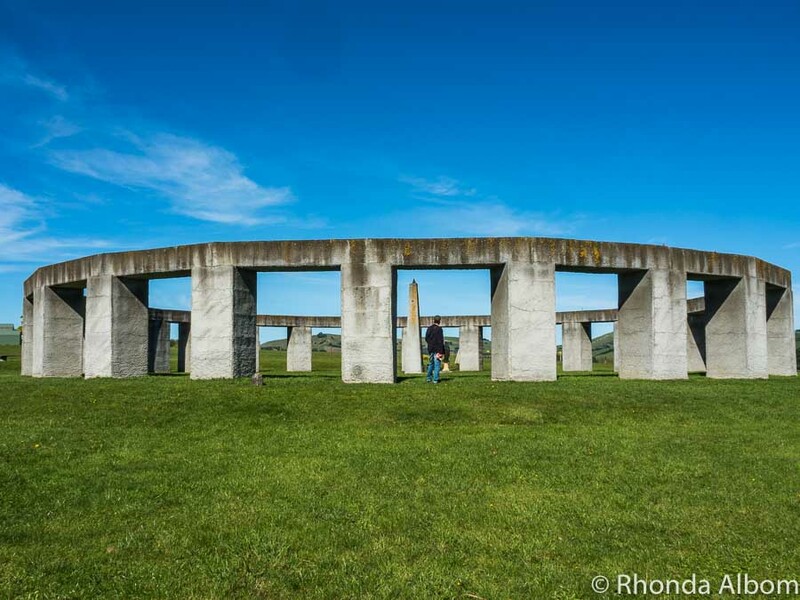 Stonehenge Aotearoa is also available for weddings or other private parties. Too late for us, as we have already married each other twice, but if you have a wedding coming up, this sure would be a memorable location. For a small town, Carterton has an enormous number of hotels, motels, and B&Bs that are rated extremely well. Or stay about 20 minutes south in Martinborough, in the heart of the Wairarapa wine region. From here, you can take a self-guided bicycle tour, a guided bicycle tour, or relax in a rickshaw while someone else does the pedalling. Either way, you get an opportunity to explore the region further and sample some fabulous New Zealand wines. 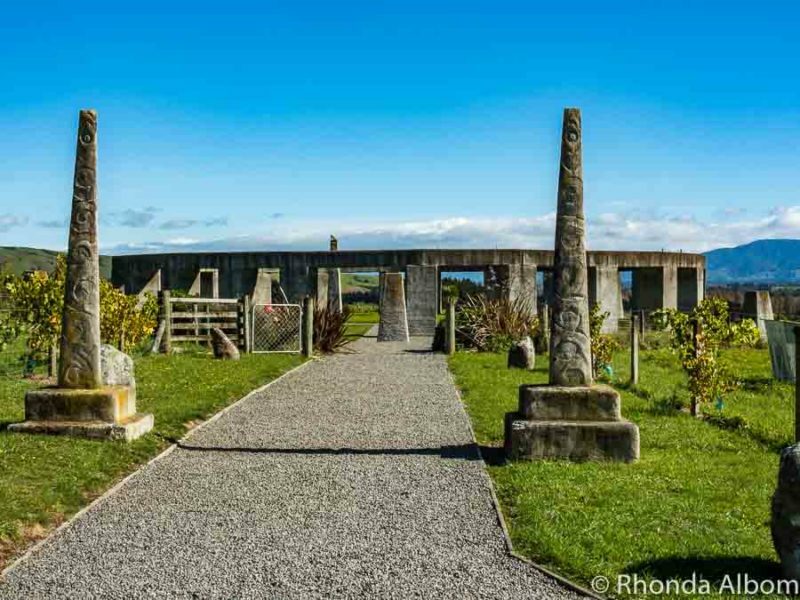 Did you know there was a Stonehenge Aotearoa? Which stone circles around the world have you seen? Disclaimer: We were provided with a complimentary tour. However, the opinions expressed here are strictly my own. What a wonderful post, Rhonda. I was a ware of this when we visited that part of New Zealand, but unfortunately we had to miss visiting it as we had to cut our trip short. Look forward to seeing it in a future trip! 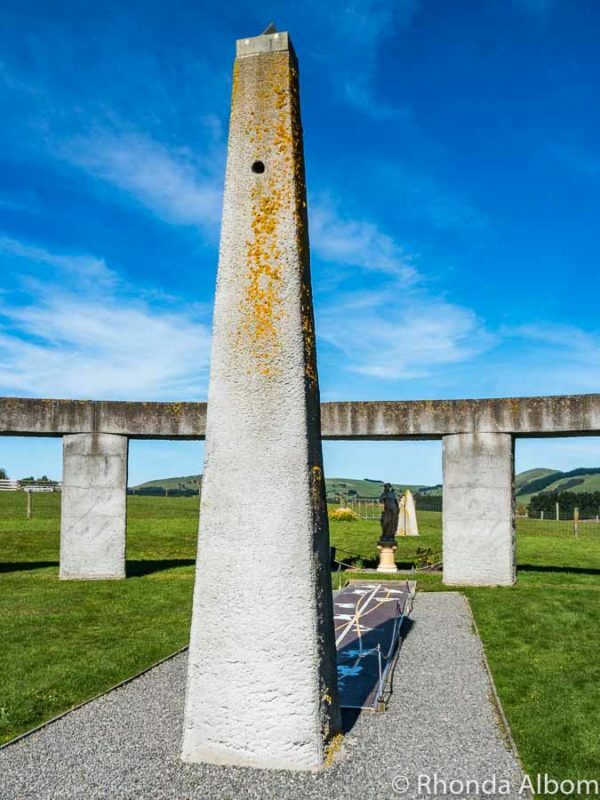 I had no idea NZ has a Stonehenge like this. How fascinating! I enjoyed Avebury in England, another small Stonehenge-type site. The great part about our visit there was that it’s not well known so we were practically the only tourists there. We also went to Stonehenge and it wasn’t too busy, but definitely full of people. Fascinating post! I loved hearing the part about the acoustics, and how that plays into group trance..very interesting! This is such a useful visitors guide as well with all the need to know info. I really do hope I’m able to visit New Zealand sometime soon. There was some discussion with my parents actually of a big family vacation there with all the cousins – hoping it comes true! Initially, I thought this was just another replica of Stonehenge. You know here in the United States we have a lot of quirky replicas. But, while reading your piece I understand the respect that was given to the construction of this site. I would like to experience the acoustics features (I love those). I’ve heard about Stonehenge Aotearoa, but I always thought it was a replica of Stonehenge in the UK, rather a purpose-built structure. How interesting that sounds from the centre of the circle are amplified as more people join in, while sounds from the edges echo later. Wow, this was a really fascinating read! I went to the UK stonehenge years ago. It’s interesting to notice the similarities and differences between that and this one in NZ! another interesting place to visit! And I love all the story surrounding it. I’ve been to two stone circles in England – Stonehenge and Avebury – and two replicas in the US. I like how this one has the Sun Gate and features that give it it’s own New Zealand identity. Very cool. I wish I had known about this the last time we were in New Zealand. I love things like this. Apart from the original Stonehenge in Britain I have also been to two full sized replicas. One was in Oregon and the other Esperance in Western Australia. The one in Esperance is amazing. Last time we were there it was for sale if you are in the market for a very, very large souvenir. We don’t give our ancestors enough credit…sometimes they knew EXACTLY what they were doing…I didn’t know this existed, so thank you for sharing! How interesting. I had no idea this place existed. I love the way they work acoustics into these structures, so fascinating. This is an amazing structure, and I’m fascinated by the acoustics. It does seem quite magical. The incredible blue skies you had the day of your visit are a beautiful backdrop. New Zealand looks like such a lovely place, I can’t wait to visit. 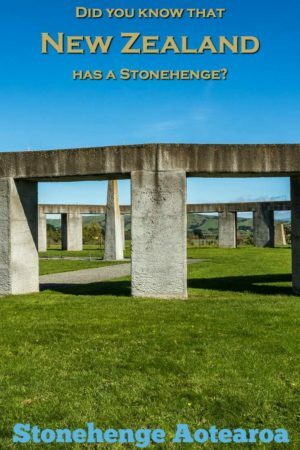 I had no idea that NZ had a Stonehenge! This is fascinating and I can’t believe how in tact it still is! Pinned! No way, I had no idea there is Stonehenge also on New Zealand. I would love to try and heard that sound echoes as you wrote. Can you hear it if there is nobody or do need more people inside the circle? How interesting! You’re right, it doesn’t look anything like Stonehenge – it looks far more modern, as you’d expect. I’d be interested to experience the acoustics here. Wow, I had no idea this place existed. Am I correct in guessing that this is a modern structure, built to ancient standards? Looks like a beautiful and fascinating place. I hope I make it to NZ someday! Such an intriguing structure! I never knew it existed, I thought Stonehenge was the only one… it makes sense about the acoustics, it always fascinates me how outdoor structures have better acoustics sometimes than the best opera houses. Great post, I enjoyed it – and learned something from it, as well. 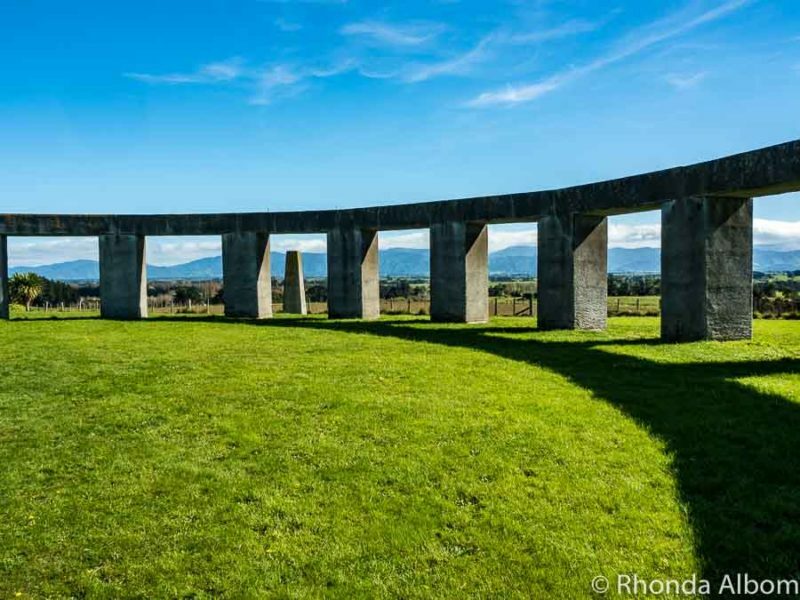 Didn’t know there was a Stonehenge in NZ. And close to Wellington as well. Looks nice! I didn’t even know this place existed nor did I know anything about stone circles (having never been to any!) so thanks for enlightening me! Such an informative post about a fascinating place! I didn’t even know such a thing even existed! This is completely new to me! I was in Wellington 11 years ago and I’m guessing that I drove fairly close to this. Very intriguing. Sadly, I have seen no stone circles. I’ve been to England twice but am 0 for 2 in seeing Stonehenge. Perhaps the third time will be a charm! It’s new-to-me. Thank you for sharing it with us. Any idea when this was built? The centre stone was laid in 2004 and it opened in 2005. 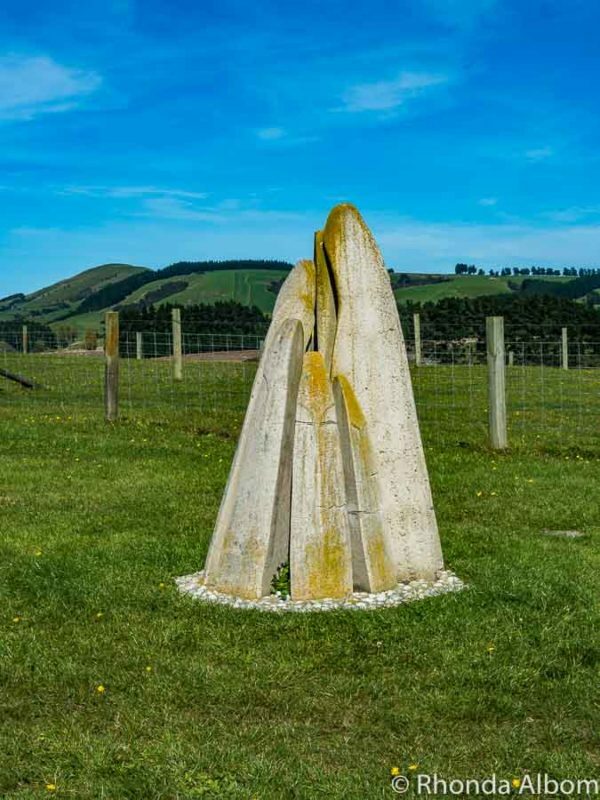 New Zealand’s Stone is purpose built in 2004. It’s not ancient, but the power of stone circles is. I hope you get a chance to see it someday. Fascinating! 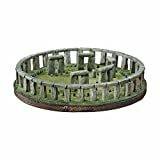 I didn’t realize that about stonehenge acoustics. The dining hall at Flagler College was rather interesting that way – if you sat at certain tables, you could eavesdrop across the room on another. Someday i want to see this in person. I hope you get too. It’s pretty cool. I was wondering if that little hole does anything involving with sun as the day goes on later? It’s always wondering how they make the darn thing. See ya Rhonda. I would imagine it does, but we never asked. Richard is so knowledgeable, and there is so much information to share. What an awe-inspiring and fascinating place. I loved all of your pictures, especially how the obelisk shadow showed the date with the zodiac signs. 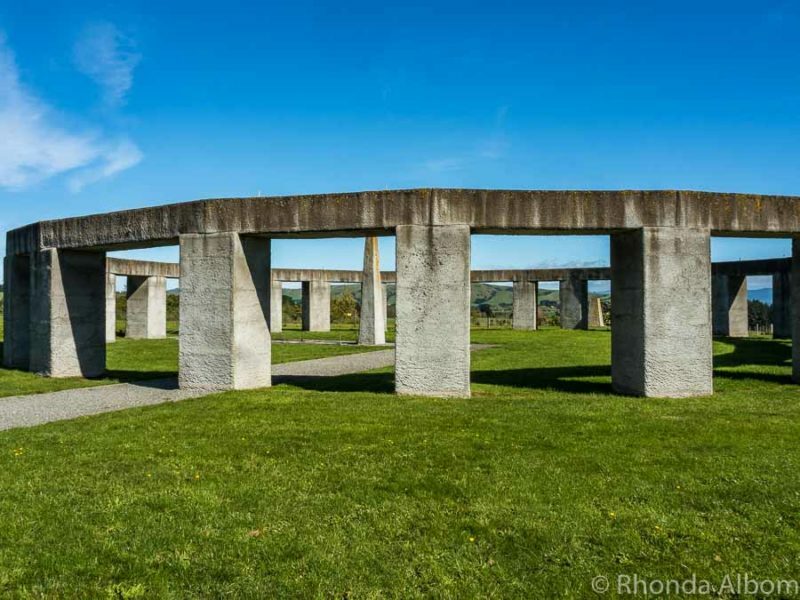 I never knew that New Zealand had a stone henge. Fantastic post – Thanks so much for sharing! I find it fascinating how much we can learn from the sun, the stars, and the sky. While this one is modern, the idea that the concept is so old always impresses me. That would be weird to hear conversations on the other side of the circle. We tested it and yes, you can hear really well. It reminded me a bit of whisper chambers I have seen at children’s museums. Wow – that is just fabulous! Love the architecture. I agree. I would love to come back and see it at sunrise one day. I have not heard of this before. Thanks for sharing and educating me. Wow this is absolutely a beautiful and gorgeous place!!! I would very much love to visit here someday! I would love to come back for one of the equinox ceremonies. This is just way too cool! Thank-you so much. That is exactly what I was thinking as I stood in the centre. These stone circles are so magnificent. I can’t wait to check these out. 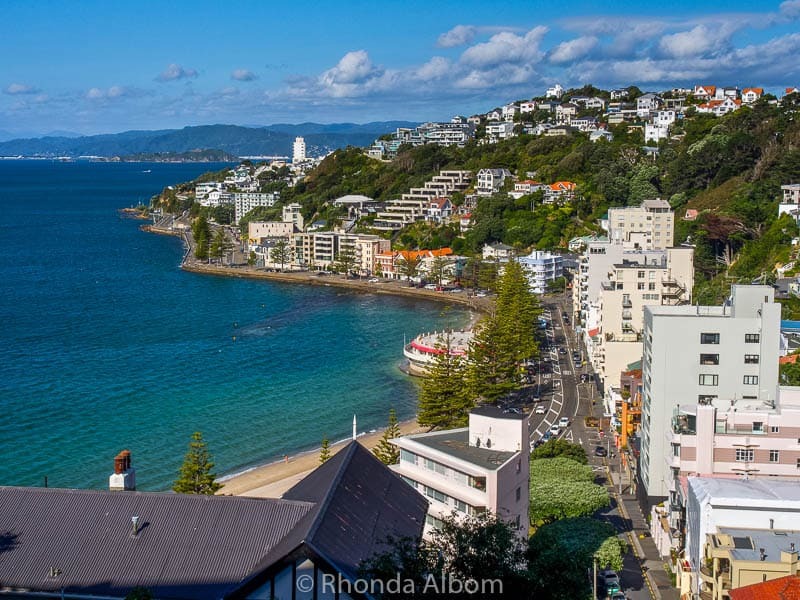 New Zealand is on my travel bucket list – so looking forward to it! 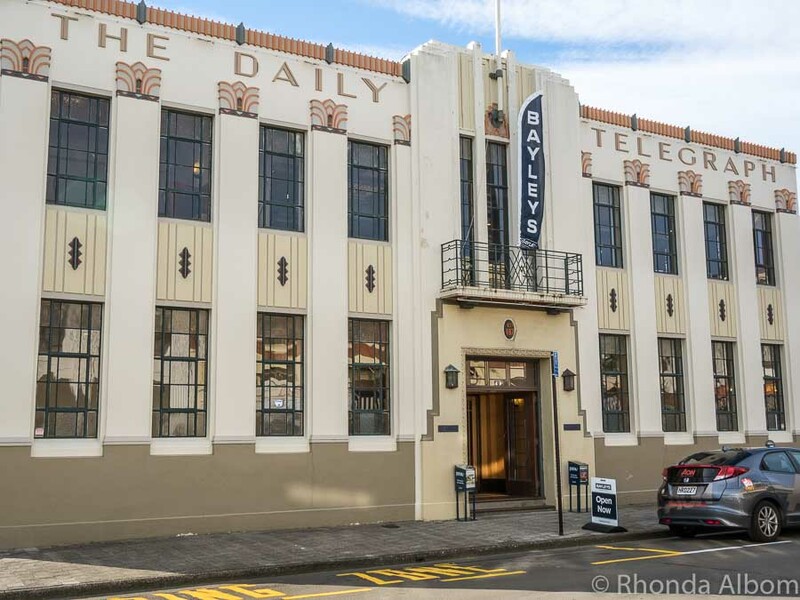 Remember to leave time when you are in Wellington to head here. So fascinating! I would love to see it someday! 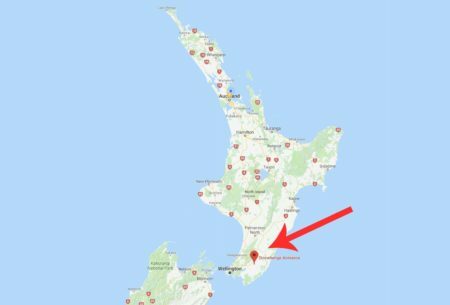 It’s only an hour from Wellington. Beautiful. I would love to see these, but we don’t travel. We’re stay at home kinds of folks. It’s all good. I still have hope that one day you will both come to New Zealand. It’s even more cool from standing in the centre. I love the world peace dedication Rhonda. Makes perfect sense too; the stable, granite-like nature of this stonehenge perfectly symbolizes the true meaning of peace. Peace does not come about through war or fighting or fear; the stability and granite-like, un-changing energy of love and harmony creates world peace. Gotta love those blue New Zealand skies too! Agree. The world peace dedication is exactly what the world needs more of right now. We went out of our way to get there in England and in New Zealand. Both were worth the effort. I’ve never heard of this site but it’s fascinating! It is off the beaten track and not as well known as I think is can be.